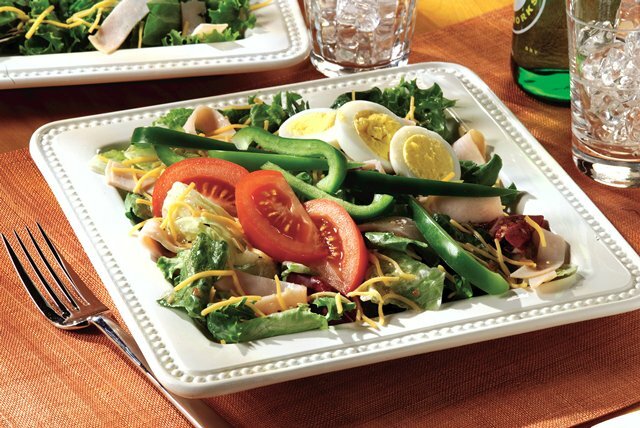 Mixed greens, turkey and shredded Cheddar cheese are tossed with Italian dressing and topped with vegetables and hard-cooked eggs for a satisfying salad. Toss first 4 ingredients in large bowl. Arrange remaining ingredients on top of salad.